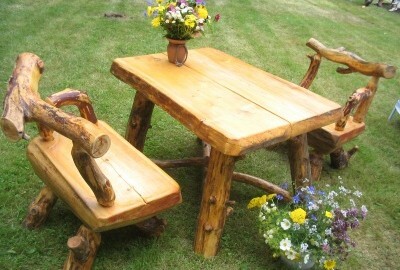 I manufacture and sell 100% ecological and ancient wooden furniture – as it was made thousands of years ago. Tables and chairs have been made of forest material, shaped by nature over decades. The wooden furniture is entirely made of natural wood; neither glue, screws nor nails have been used for fixing the details together. The furniture has been stained and treated with natural vegetable oils. 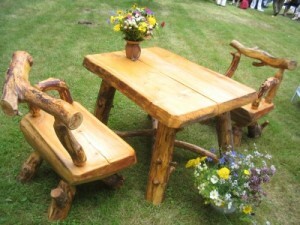 The wooden furniture is ideal to furnish a log house, environment reminding us of old times or being entirely natural. The chairs are very comfortable to sit on as the natural shape of human body has been kept on mind during designing and fitting.